Berkley has had a history with putting out some plastics that have accounted for numerous tournament wins as well as just trips out on the lake. The Berkley Pit Boss is one of those plastics that since the original release has become one for the record books. Originally released under the Havoc series this game changer has been requested for some time in the Powerbait line up and now the fans get what they want. The beauty of the Pit Boss is the versatility it offers as well as what it mimics. From crawfish to baitfish the Pit Boss covers it all. 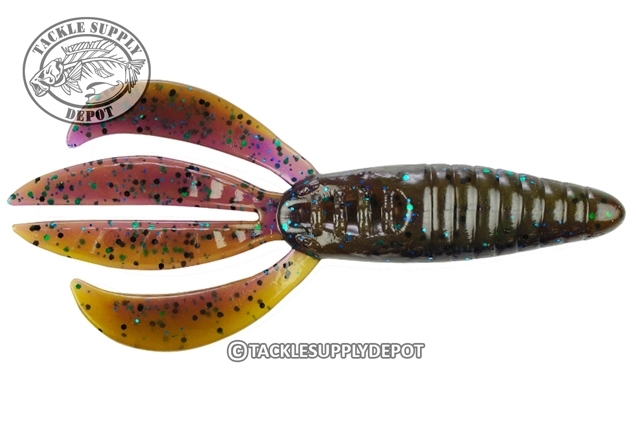 Known to be the ideal flipping bait this lure is equally deadly on the bait of a jig, Carolina rig, shaky head and can even be swam on a jig head or belly hook. This already proven design is now that much better with the addition of the Powerbait formula that fish hold on to 18 times longer than others on the market. If you have not tried the Pit Boss yet then you have no idea what you're missing and with the new Powerbait version things just got better.